The Wine Industry Network for Expertise and Technology (Winetech) coordinates research, training and technology transfer in the wine industry. 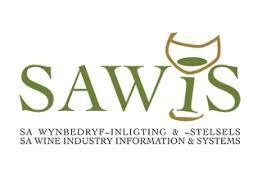 SAWIS (South African Wine Industry Information & Systems) is a NPO responsible for collection, processing and dissemination of industry information as well as the administration of the industry's Wine of Origin system. WIETA is a multi-stakeholder, non-profit voluntary organisation which actively promotes ethical trade in the wine industry value chain through training, technical assessment and audits to assess members' compliance with its code of good practice. Vinpro is an independent representative body for 2 500 South African wine grape producers, cellars and wine-related businesses, while providing strategic direction, rendering specialised services and driving people development. Aware.org is registered as a non-profit organisation (NPO) with the Department of Social Development. Aware focus is on preventing the negative consequences of alcohol abuse. 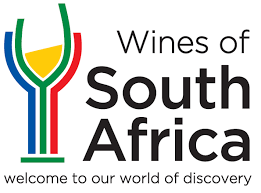 The World Wine Trade Group (WWTG) is an informal group of government representatives with a mutual interest in facilitating the international trade in wine and avoiding the application of obstacles to international trade in wine. The WWTG welcomes and encourages participation in the Group of any national governments or members of the World Trade Organization interested in furthering these goals. The founding members of the WWTG are: Argentina, Australia, Canada, Chile, New Zealand, South Africa, and the United States. The Republic of Georgia acceded to the WWTG Agreements in 2010.